writing in red lipstick. : Halloween Bark! Hey everybody! It's that time of year again! My roommates and I have been planning a Halloween party, and I've been trying out recipes for snacks and treats! 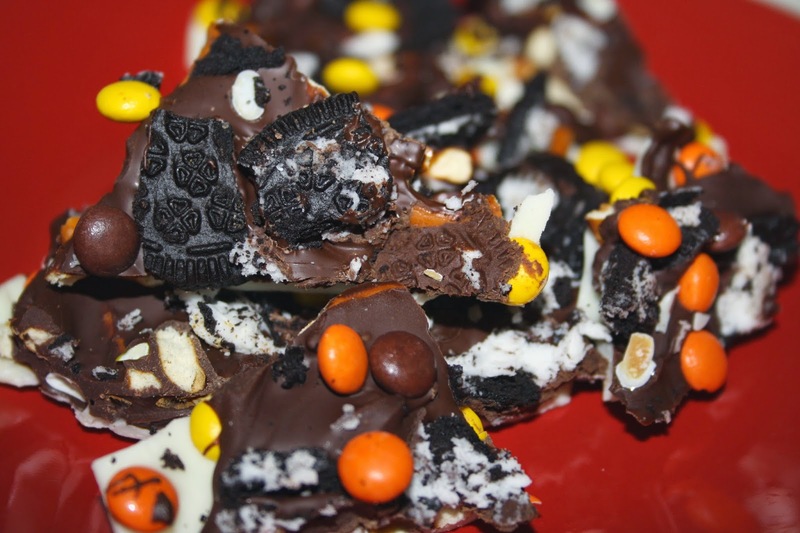 This creation is what I call Halloween Bark, which is a spooky sweet and salty take on peppermint bark! 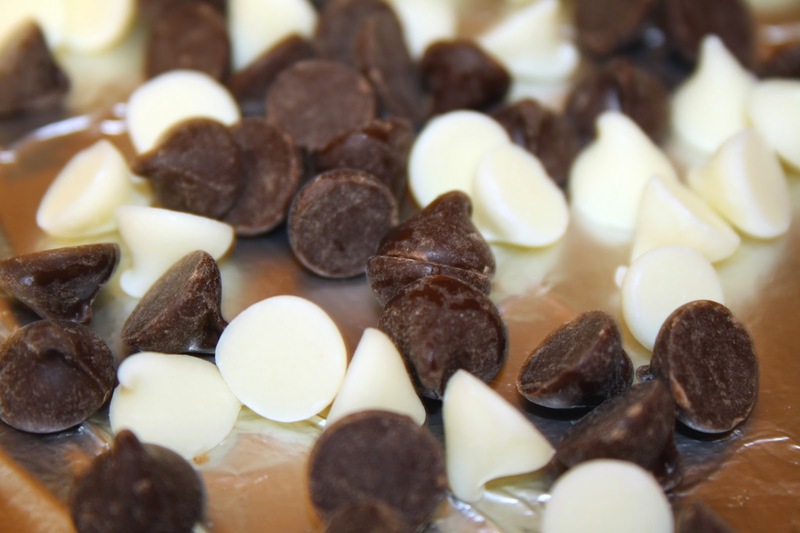 First, melt the white chocolate and spread it out on a cookie sheet topped with aluminum foil. 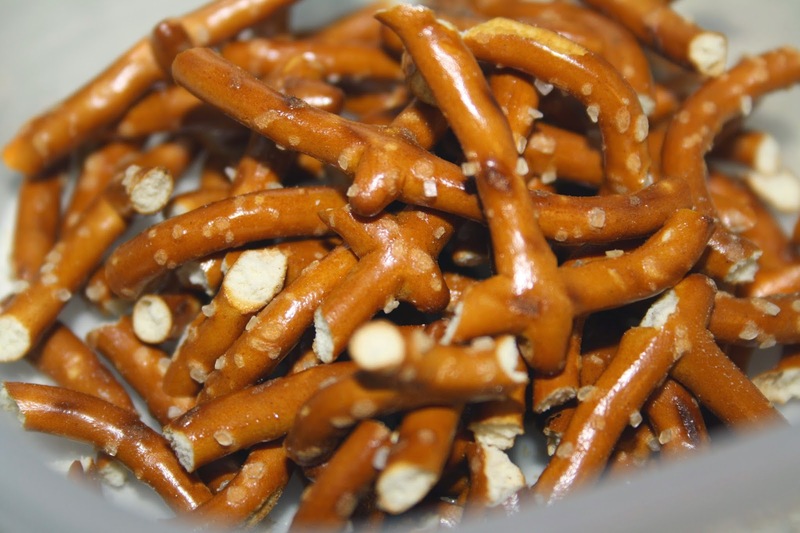 Sprinkle your broken pretzels over the melted white chocolate. Once that cools, melt your dark chocolate and spread it out over the pretzels and white chocolate. 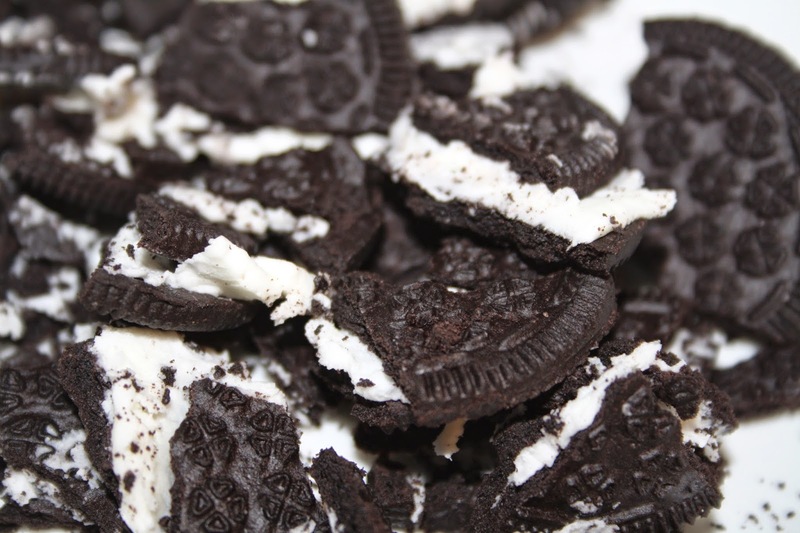 Then, sprinkle your crushed oreos and Reece's Pieces on top of that. 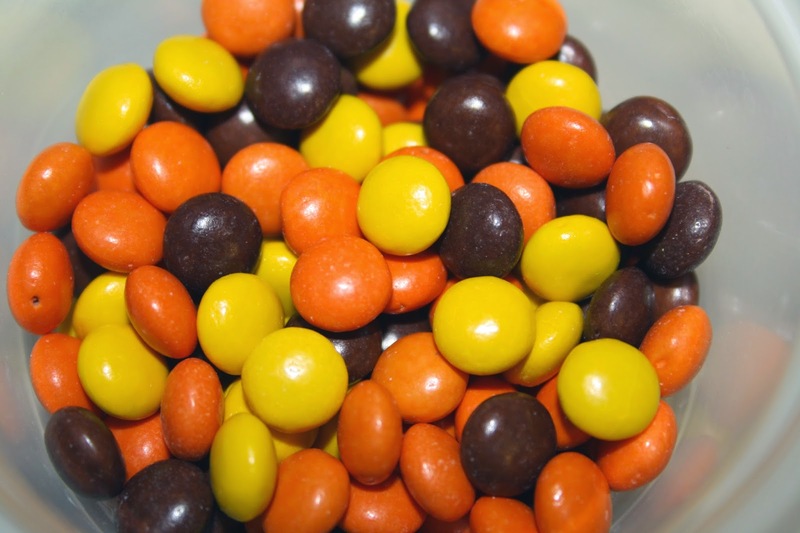 If you'd like, drizzle more white or dark chocolate on top. Allow to cool. Once cooled, break up the bark and serve. Enjoy! oooh that looks like a delicious treat! I always make peppermint bark around Christmas but I would love to give something like this a try. My husband always makes a dirt cake with gummy body parts around Halloween, it is so yummy! This looks sooo good! Doing this asap! OMG this is like all the good things in life rolled into one... amazing.